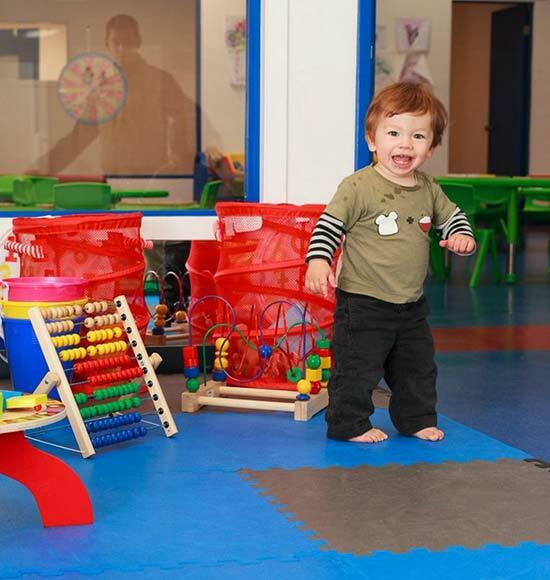 We offer Open Play daily, which is when children are welcome to enjoy full use of our sensory-safe gym with parent supervision. 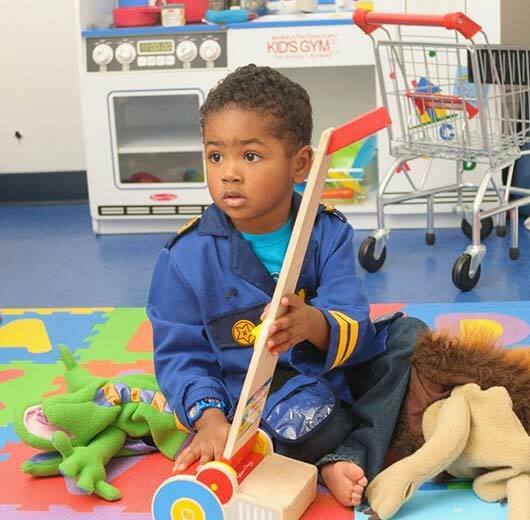 Our gym features therapy equipment, an arts & crafts area, a calming room, and more. 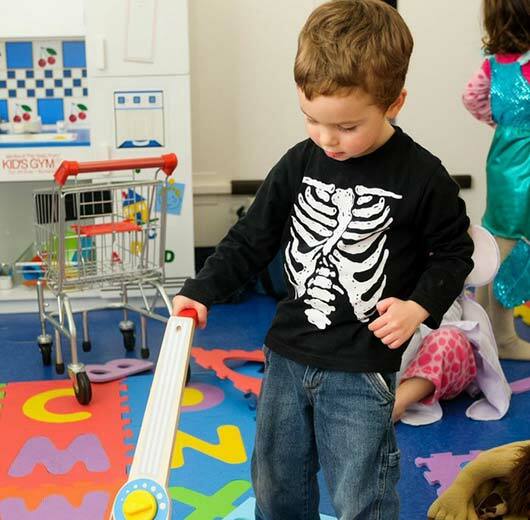 We have a range of activities for kids no matter what they like. 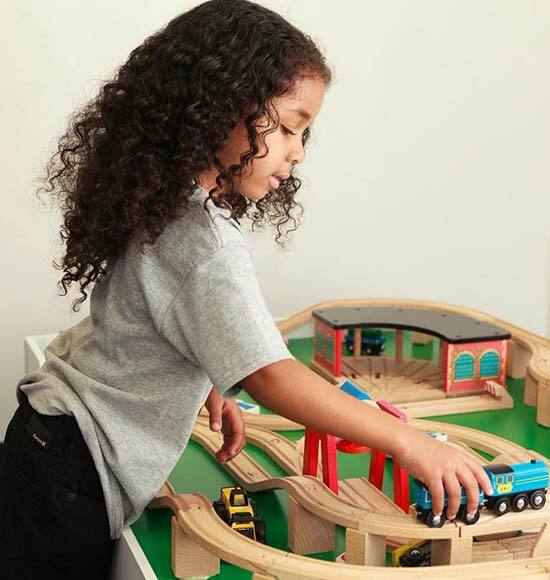 Our toddler section is filled with toys from trusted companies such as Melissa and Doug. Or if your child is more ambitious, he or she can jump on our trampoline or zip down our zip line. 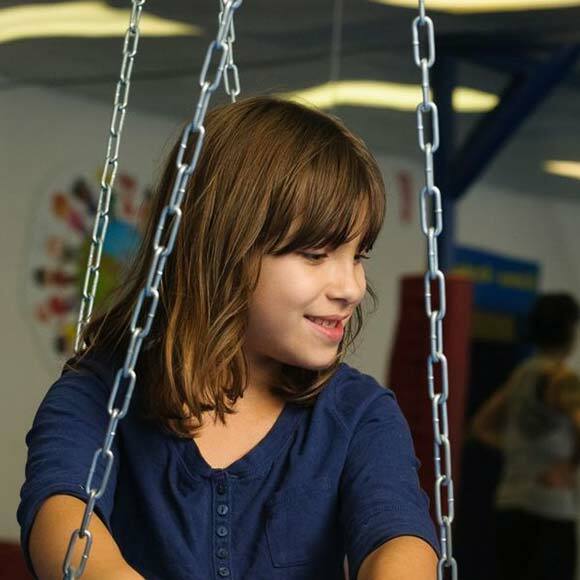 There’s plenty to do in our indoor, play, sensory gym — the best part being that weather doesn’t affect playtime! We are an inclusive facility. 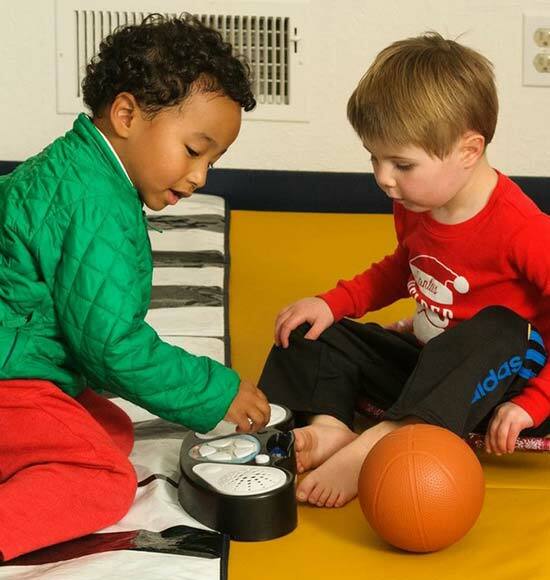 This means that the programs and services we offer are designed to include children of all abilities. 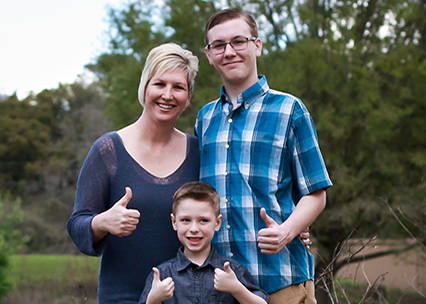 Our equipment has been specifically chosen so that children with autism or special needs can benefit from using it. 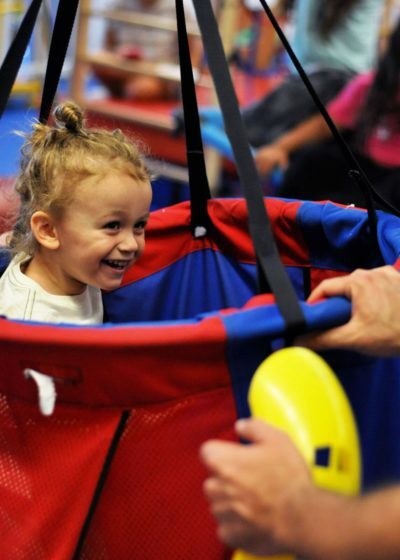 Neurotypical children will also find our gym to be a safe and fun place to play! We believe in accommodating everyone. For children ages 1 to 12 years. $12 per child. Siblings discounted to $10 each. 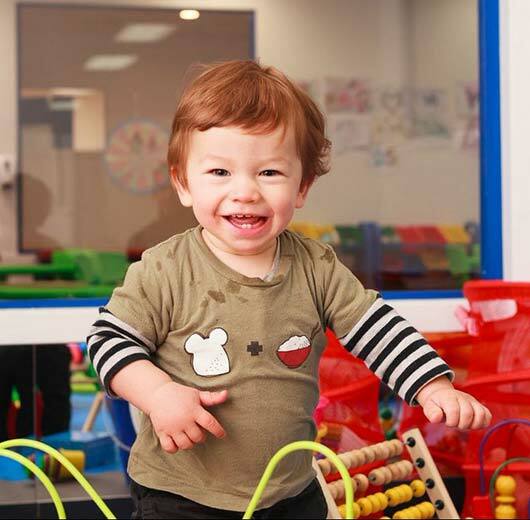 A parent or guardian must accompany the child during Open Play at all times. Socks are required on the gym floor. No shoes allowed. For our more frequent visitors, we offer membership deals. We’ll keep your documents on file, and all you will need to sign in is a membership card. 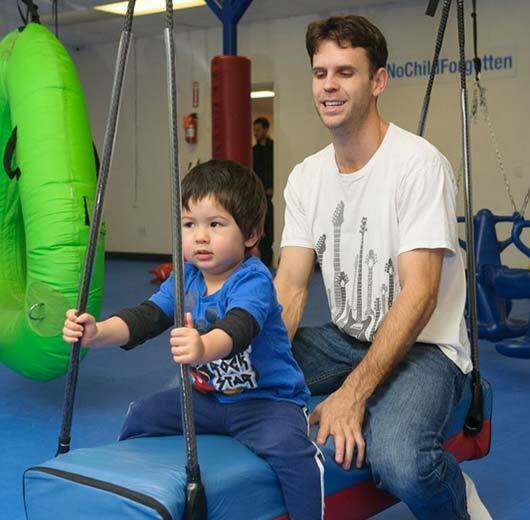 With Rock Platinum, our monthly membership deal, you and your family can come to the gym as often as you’d like. We provide a 15% discount on Rock Platinum memberships when you pay for six months up front and a 20% discount when you pay for a year in advance. Our Open Play membership cards make a great gift! Mondays Check our Facebook for daily hours or call ahead! Tuesdays Check our Facebook for daily hours or call ahead! Wednesdays Check our Facebook for daily hours or call ahead! Thursdays Check our Facebook for daily hours or call ahead! Fridays Check our Facebook for daily hours or call ahead! Saturdays Check our Facebook for daily hours or call ahead! Sundays Check our Facebook for daily hours or call ahead!